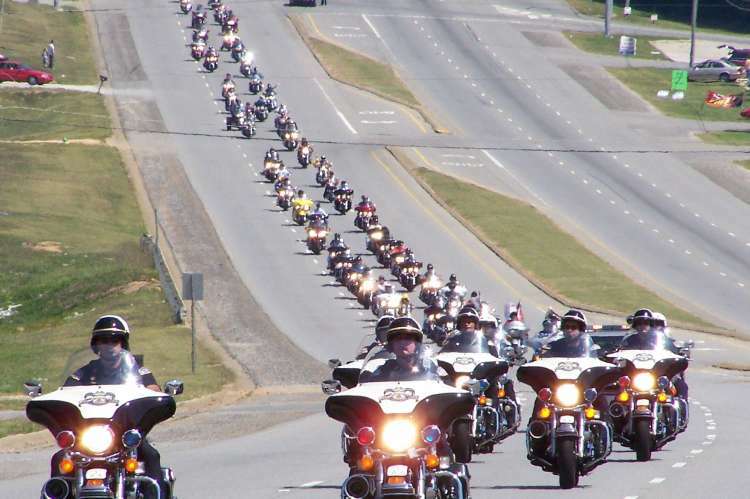 Next Ride is September 21, 2019 Trail of Tears Commemorative Motorcycle Ride® begins in Bridgeport, AL and ends in Waterloo, AL. Here you'll learn about the history of the Trail of Tears, see the Trail first hand, and feel the brotherhood shared by those who ride it. 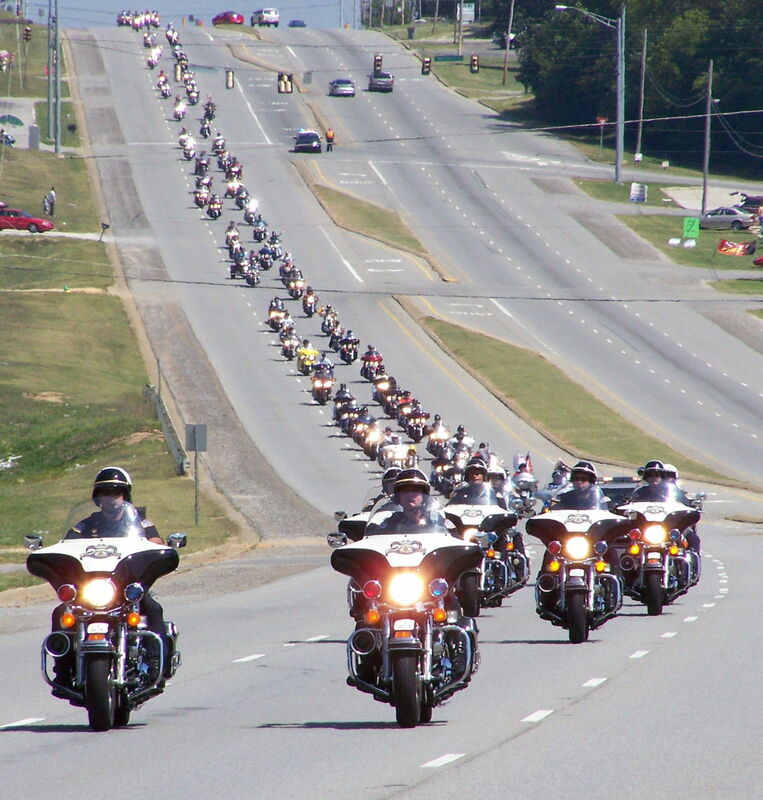 Join us on these web pages to see the largest annual motorcycle ride in America, and use the information to help you plan to be a part of it. Accommodations, ride schedule, and event information is all here at your fingertips. Join us on the ride along part of the original Trail of Tears to honor the Cherokee, Choctaw, Chickasaw, Creek, and Seminole nations.